This patient was unhappy with the crowded and uneven teeth. 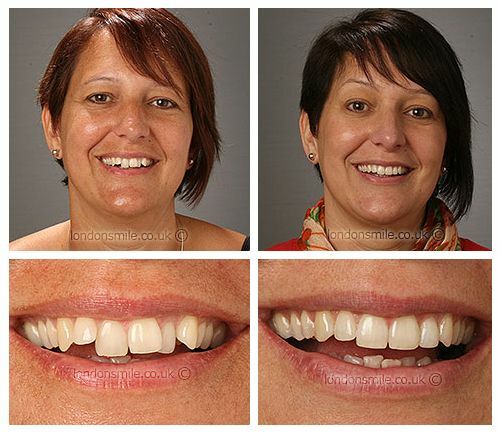 In just 16 weeks Melanie’s teeth were straightened using the Inman Aligner. She is amazed with the results and its easy to see why in these before and after photos!! I have wanted to have my teeth straightened for years but have never been brave enough. As I qualify for my nursing degree this year I thought the time was right to go for it and treat myself. No problems at all. All my treatment went very well I have had no pain or discomfort at all. I am amazed with the results I couldn’t have wished for better. I am much more confident and smile more when I have my picture taken. The whole team are so friendly and helpful! I couldn’t ask for more!